AREALOURA, S.A., Tax Identification No. (CIF): A36605772, company registered with the Pontevedra Companies Registry in Book 122, folio 149, page 1774. VIQUEIRA INMUEBLES, S.A., Tax Identification No. (CIF) A36663623, company registered with the Pontevedra Companies Registry in Book 684, folio 479, page 9431. CONSTRUCCIÓN, PROMOCIÓN Y DERIVADOS, S.A., Tax Identification No. (CIF): A36620805, company registered with the Pontevedra Companies Registry in Book 283, folio 87, page 4020. The Companies reserve the right to change or delete any information from the Website without the obligation to notify or inform the User of such changes in advance, and the mere publication of these changes on the Website shall suffice. Users are strictly prohibited from introducing viruses to the Website, attempting to access or change data on the Website or accessing email accounts, messages, etc. The data, text, information, graphics and links published on the Website are intended as information for interested parties only and shall under no circumstances give rise to a commercial, contractual or business relationship between the User and the Companies. In the event of a discrepancy between the information published on the Website and in paper format, the latter shall prevail. The Companies accept no responsibility for information that has been manipulated, published or created by third parties. • The reproduction in whole or in part of products or content from pages of the www.sotaventotenerife.com Website is prohibited. • Showing content from pages of the www.sotaventotenerife.com Website within another website (“frames”) is prohibited. 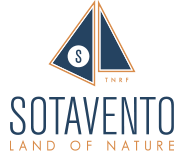 • The inclusion of false, inaccurate or incorrect representations on the pages of the www.sotaventotenerife.com Website, or about any of the products or contents contained herein is prohibited. The insertion of a “hyperlink” does not imply the existence of a relationship between the Companies and the owner of the website or portal containing the link; moreover, given that the Companies have no control over third-party content, they shall not be held responsible for the products, services or content made available to the public on the website or portal with a link to the www.sotaventotenerife.com Website, for the information or representations contained therein or any adverse effects arising from this information. Furthermore, the User may be redirected from the Website to other websites (via internal links), in which case the Companies accept no responsibility whatsoever for the content contained on these websites. In any event, the Companies shall immediately withdraw any content that violates national or international legislation, public morality or public order and shall promptly delete the link to the relevant website and report the content in question to the relevant authorities. In accordance with the provisions of Articles 11 and 16 of the LSSI-CE, the Companies undertake to actively collaborate with Users, the authorities and law enforcement agencies in the removal or, where applicable, blocking of content that may affect or violate national or international legislation, the rights of third parties, public morality or public order. The Companies accept no responsibility for technical problems or faults that may occur while connected to the Internet or for any damage that may be caused by third parties as a result of unlawful interference that is beyond the control of the Companies. The Companies make no warranty as to the quality, accuracy, reliability, correctness or morality of the data, programmes, information or opinions, irrespective of their origin, transmitted via its network or via networks that the User may have access to via this Website. The User expressly undertakes not to hold the Companies responsible for any liability in relation to the Website. The User accepts sole responsibility for any consequences, damages and losses that may arise as a result of accessing, reproducing or disseminating the aforementioned content. Twitter sets cookies when you visit one of the pages of our Website in which web beacons have been embedded for the purpose of monitoring advertising on its website. The web application used to obtain and analyse browsing information is Google Analytics: www.google.com/analytics/. The cookies used by Google Analytics are: _utma, _utmb, _utmc, _utmz. By using this Website, the User consents to the processing of information about him/her by Google in the manner and for the purposes set out above. This Website, as well as the content, products, elements (text, images, etc. ), graphic designs and source code contained herein are protected under Spanish industrial and intellectual property law in favour of the Companies; therefore, under no circumstances are users authorised to use, print or store the foregoing on any hardware media for purposes other than for his/her own personal and private use. The reproduction, distribution, modification, decompilation or commercial use of the foregoing in whole or in part are strictly prohibited without the express consent of the Companies. The content of the Website may only be used for information or service purposes and provided the User cites or quotes the source; the User shall be solely responsible for any misuse of the content. The Companies accept no responsibility for the User’s infringement of the rights of other users of the Website or those of third parties, including copyrights, trademarks, patents, confidential information and any other intellectual and industrial property rights. Infringement of any of the foregoing rights may constitute a breach of these provisions and an offence under Articles 270 et seq of the Criminal Code. The Website complies with the general legislation in force, including, among others, Organic Law 15/1999, of 13 December, on the Protection of Personal Data (LOPD); Royal Decree 1720/2007, of 21 December, approving the Regulation implementing the LOPD, and Law 34/2002, of 11 July, on the Information Society and Electronic Commerce Services.  The Companies shall take whatever civil or criminal action they are entitled to by law in the event of unlawful use of the Website or disputes arising in relation to www.grupoviqueira.com. Any claims that may arise in relation to this domain shall be governed by Spanish law and will be heard by the competent Court in the province of Pontevedra.